The terms of Mayor Kelly Boyd, Mayor Pro Tem Rob Zur Schmiede and Councilwoman Toni Iseman will end this year. Voters will have a wide choice if all the folks who have expressed interest in running for one of the three seats actually become candidates. Boyd will not be among them, although he said he will campaign for selected candidates. Iseman has indicated she won’t make a decision until later this year on whether to try for a record-shattering, sixth consecutive term in office. Zur Schmiede says he definitely will run, although he has yet to submit his 501 form, which confirms a candidate’s intent to run. As of Monday, only three hopefuls have submitted the form. Judie Mancuso submitted her 501 in June of 2017. Mancuso is a long-time animal welfare advocate, founder of the 501(c)(4) Social Compassion in Legislation, and a candidate for the City Council in 2016. “I have over 10 years of experience in getting big things done at the State level,” said Mancuso on Saturday. Sue Kempf submitted her 501 in March. Her resume includes running her own company and others. In Laguna, she was a founder and graduate of the first Community Emergency Response Team class, served on the View Equity Task Force, and co-chaired the Emergency/Disaster Preparedness Committee. She currently sits on the Planning Commission, with her term ending June 30. “I am running because this is a great town to live in and I want to make sure it stays that way,” said Kempf. Cheryl Kinsman filed her 501 on Monday. A former City Council member, Kinsman sits on the Laguna Beach County Water District Commission. Kinsman was honored as the 2014 Woman of the Year by the Laguna Beach Woman’s Club for her service to the community. She is credited with working successfully with then-Councilwoman Jane Egly to keep a hospital with an Emergency Department in Laguna. Previous to her eight years on the council, Kinsman served on the Planning Commission and the city’s Parking, Traffic and Circulation Committee. Her experience as an MBA and CPA were put to use as volunteer auditor of the Laguna Beach High School PTA and treasurer of Neighborhood Watch and the North Laguna Community Assn. The list of potential candidates who have yet to make their intent to run in writing includes Michelle Hall, who ran for the council in 2014. Not committed to running yet, and that is a big YET: Gallery owner Peter Blake, a longtime Laguna Beach resident and businessman, unashamedly passionate about Laguna and concerned for its future. Attorney Jennifer Zeiter also said she is considering running for the council. 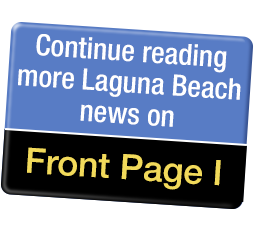 Zeiter is founder of Stop Taxing Our Property, a group opposed to funding undergrounding with a bond or sales tax increase, and a past president of Laguna Beach Taxpayers Assn. Lorene Auger, who styles herself as Lorene Laguna, has said she will file her 501 when she fills out her election committee. Sam Goldstein, owner of the Heisler Building, a former Design Review Board member and integral to the establishment of the Business Improvement District that funds art projects, art groups and artists, will not be running for office, but he will be seriously involved in the election. He has established Liberate Laguna to financially support favored candidates and has contacted some of the hopefuls to determine how their positions align with his. The election campaign officially begins July 16, the first day that candidates can pick up nominating papers and collect signatures.